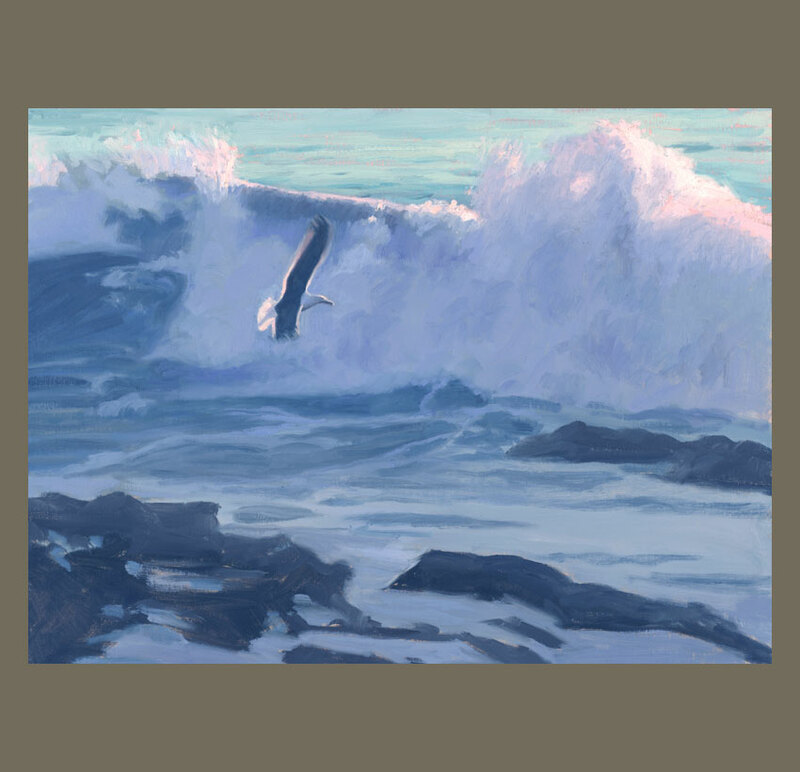 Having observed the majestic way that marine life synchronizes itself with the ocean, I am ever on the lookout for a scene that captures that harmony. Leo Carrillo beach is six miles from my house in Malibu. I have spent countless hours there painting, walking my dogs, or just relaxing. Having observed the majestic way that marine life synchronizes itself with the ocean, I am ever on the lookout for a scene that captures that harmony. 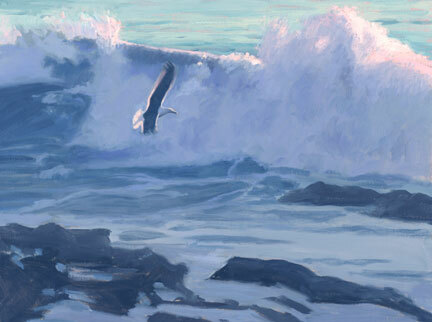 The seagull lifts his wing and turns to follow the surf; the last rays of the sun dance off of the crest of the wave and the tip of his wing simultaneously. It is a beautiful dance. This painting was featured in the California Art Club Signature Member Show at the Carnegie Art Museum in Oxnard, CA, which opened on Saturday, March 12, 2011. For details, please see the Events page.